Many areas, and large cities in particular, are ready to transition to all-electric mobility in just the next few years. As such, it's important to find a find a way to integrate classic cars without ruining their character. The Aston Martin Cassette Electric Powertrain Concept is an attempt to do exactly that. Shown for the first time in a 1970 DB6 MkII Volante, the "cassette" as an all-in-one system that sits on the original engine and gearbox mountings, connecting to the car's electrical systems via cords. Power management is handled via a screen discreetly integrated into the car's interior, and most importantly, the process is completely reversible, giving the owner the option to reinstall the original powertrain in the future. The third all-electric car to be shown from the brand with the four rings, the Audi E-Tron GT Concept is arguably the most exciting. It relies on a pair of motors and quattro all-wheel drive to put 590 hp to the pavement, good for a 0-62 time of 3.5 seconds and a top speed of 149 mph. Range is said to be roughly 250 miles, with 80 percent of that replenished in just 20 minutes by the 800-volt charging system. Outside the design is aggressive and in keeping with the brand's design language, with dramatic LED lighting and sharp lines. Unlike most concepts, this one is already slated to begin production in late 2020, but you'll be able to see it before then in Avengers 4, most likely driven by R8-enthusiast Tony Stark. The Bugatti Chiron is one of the fastest cars ever produced, and nothing about it ordinary. The 1,500 horsepower hypercar was never meant to put a tire off the pavement, but Estonian design Rain Prisk has reimagined the Chiron as a lifted, off-road ready all-wheel-drive behemoth ready to tackle the great outdoors. Prisk's concept adds at least a few feet of ground clearance, heavy duty suspension, massive offroad tires, a roof rack, and a winch. Bugatti should take notice, and cop a page from Porsche's playbook — the German company's 959 supercar was originally designed as a rally car. The Chiron would look awesome sideways and covered in mud in the World Rally Championship. Mercedes-Benz has made rugged utility vehicles for nearly as long as it's been around — with the notable exception of a pickup. That changed in 2018 with the introduction of the X-Class, a midsize four-door pickup that Mercedes sadly sells everywhere but the US. Carlex Design lept at the opportunity to give the X-Class their trademark interior and exterior treatment, and offer several tiers of upgrades to the standard X-Class platform. Carlex took their design expertise to the next level with the EXY X-Class 6x6 concept, stretching the bed adding another axle to the pickup and making it an offroad monster. While the EXY 6x6 is still in the planning phase, Carlex plans to offer the brute to customers in 2019. The automobile has gone through more technological changes in the last decade than at any time since the invention of the assembly line. New cars are as connected as your smartphone, with autonomous driving features and completely electric powertrains becoming the norm. British luxury manufacturer Bentley joined with the Royal College of the Arts for a series of concept cars that look far into the future — 2050 to be exact. 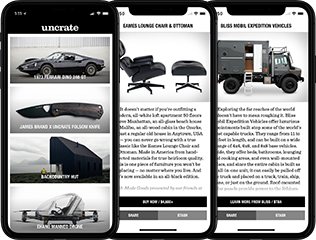 Designs range from retro-styled classics that would look at home in the Roaring 20s, sleek coupes that draw on prewar race cars, and one that doesn't have wheels at all — a flying, UFO-inspired personal transportation solution. The future is getting closer every day, and Bentley and these young stylists are ready to shape what is to come. Infiniti's Project Black S is laying out the path for their future as an all-electric car manufacturer. The Renault-Nissan-Mitsubishi Alliance is starting to bear fruit, with Renault's F1 technology beginning to filter down in the form of dual MGU-H and -K units on the Project Black S, pushing output of the twin-turbo VR30 V6 engine to 563 horsepower over the stock VR30s 400. The MGU-H uses exhaust gases from the turbo to capture energy from acceleration, with the MGU-K recovers energy from braking. The F1 tech doesn't stop at power generation, however — the Q60 coupe used as the base for Project Black S has been radically redesigned for better aerodynamics. Infiniti claims all this is good for 0-60 times in under four seconds. Now if Infiniti would just greenlight production. Not content to leave the future of heavy-duty trucks to the likes of Tesla and Nikola, Ford has taken the wraps off of its F-Vision semi concept. Besides the similarity to other electric semis, the F-Vision draws inspiration from an unlikely source — Marvel superheroes. The F-Vision's wraparound front glass blends into the bodywork when in operating autonomously and fades out when a human operator is present. Ford also describes the front end as interactive, saying that different logos, designs, and even messages for other drivers can be displayed across the front of the cab. Ford didn't offer any technical specs for the truck, but the F-Vision definitely points in the direction the company is looking towards for the future.